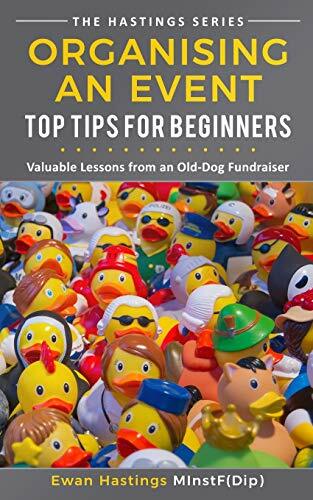 The third in The Hastings Series of fundraising guides covers how to organise an event, and has been written specifically for those who are new to this kind of fundraising. 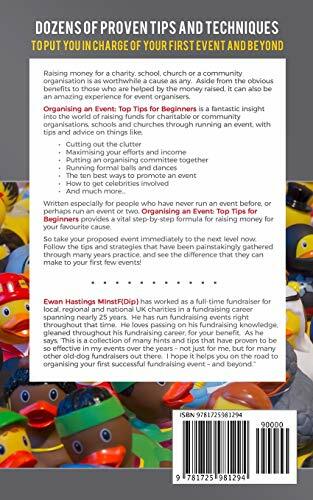 Ewan Hastings says that it offers “a step-by-step formula for raising money for your favourite cause”. He was a committee member of The Institute of Fundraising’s Scottish Trusts, Foundations and Statutory Special Interest Group. He has also sat on the committee, and has been Chair, of the Institute of Fundraising’s Scottish Corporate Special Interest Group. He currently sits on the Institute of Fundraising’s Standards Advisory Board for Scotland.